As the push for outdoor living spaces reaches a fevered pitch, I'm more interested in the outdoor spaces that we where we do more working than living. I'm still waiting on some sort of recliner/lawn mower that allows me to watch a movie on my iPad while I "mow" the lawn... Until that technology exists, I'll happily love the goodies that make outdoor work just as nice as outdoor relaxing. 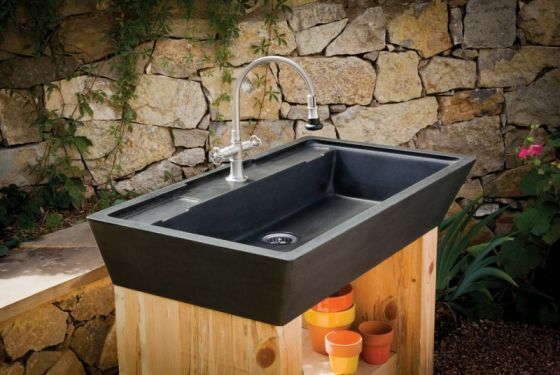 With the autumn gardening season firing up, I long for a super awesome stone sink. Check this one out. 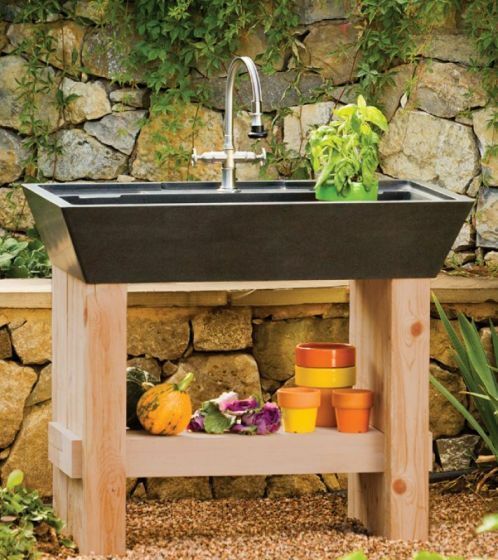 This is the Salus Potting Sink from Stone Forest. If you aren't familiar with them already, you should acquaint yourself quickly. Everything they do is awesome. The Salus is honed granite and would hold up to the rigors of even the most accomplished green thumb. Check out the Stone Forest website and get one for your house. 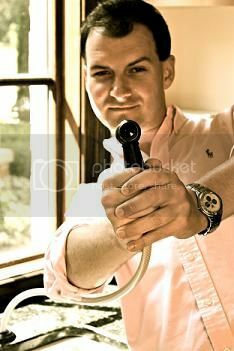 I might even come over to use it.